on Monday, October 30, is the Ninth Annual Celebrationrecognizing Christian leaders who demonstrate excellence, humility, and enduring commitment as they demonstrate Christian character to the lives and communities in Middle Tennessee. and civic leaders, government officials, agencies, and organizations to influence lives, address needs and demonstrate Christian leadership. The Operation Andrew Group invites you to join in the recognition of these faithful Christian leaders to express appreciation for their community service, and to help underwrite the programs of OPERATION ANDREW through your sponsorship. William F. Carpenter III is Chairman and Chief Executive Officer of LifePoint Health. He has served as CEO since 2006 and assumed the additional position of Chairman of the Board in 2010. He is a founding employee of the company, which was established in 1999, having previously served in various roles, including Executive Vice President, General Counsel and Corporate Governance Officer. Mr. Carpenter is a member of the board of directors of the American Hospital Association and the Federation of American Hospitals (FAH). He is a past board chairman of the FAH and the Nashville Health Care Council, and currently serves on the boards of directors of the Nashville Area Chamber of Commerce, NashvilleHealth, the Center for Medical Interoperability, United Way of Metropolitan Nashville, Avondale’s Advisory Board and Nashville Public Radio. Additionally, he serves as co-chairman of Partnership 2020, the Nashville Area Chamber of Commerce’s economic development initiative. A recognized leader in the healthcare industry, he has appeared on Modern Healthcare’s Annual “100 Most Influential People in Healthcare” list numerous times. 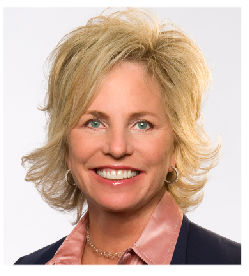 Dee Anna Smith is the Chief Executive Officer of Sarah Cannon, The Cancer Institute of HCA Healthcare. Appointed as CEO in 2006, Smith is responsible for carrying out the overall strategic mission and vision for Sarah Cannon which offers cutting-edge clinical research as the foundation to its integrated cancer programs. From diagnosis to recovery, Sarah Cannon provides close-to-home access to world-class cancer care across the United States and United Kingdom. Joining Sarah Cannon Research Institute in 2005, Smith served as chief information officer and president of Sarah Cannon’s Research Services division. Previously, Smith served as founder and chief executive officer of Summit Research Solutions, a multi-specialty organization co-founded in 1996. She received her bachelor’s degree in accounting from Pepperdine University. Smith has received recognition for her contributions to the health care industry on a local and national level. She was named a 2013 Health Care Hero by the Nashville Business Journal in the chief executive officer category and she received Lipscomb University’s 2013 Heroes of Business award. Smith is a member of the American Institute of Certified Public Accountants and American Society of Clinical Oncology. She serves on the Pepperdine University Board of Regents, the board of visitors for the Lipscomb University School of Pharmacy as well as the board of directors for the Nashville Health Care Council. 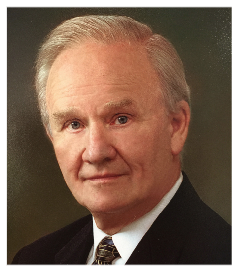 Pastor Emeritus L H Hardwick was a founding Trustee of The Operation Andrew Group and championed the greater purpose to unite the body of Christ in Middle Tennessee. Hardwick was appointed Senior Pastor of Christ Church at just 18 years of age with a small congregation of just eight people. Under his leadership, and in response to the consistent growth of the church through the years, Pastor Hardwick led Christ Church through three location changes and numerous building projects. Pastor Hardwick is affiliated with Global Network of Christian Ministries, Inc. and in 1986, was elected to the office of Moderator for that organization, a position he held for 10 years. He was a member of Churches Uniting in Global Missions (CUGM), a national group of pastors, under the leadership of Dr. Robert Schuller, former Founder and Pastor of the Crystal Cathedral in Anaheim, California. In addition, Pastor Hardwick has received honorary doctorate degrees from Moody Theological Seminary and Emmanuel Bible College, and was an honored Guest Speaker at Oxford University in Oxford, England on two occasions. Pastor Hardwick has always been active in community affairs and was appointed by the Governor of Tennessee to serve an eight-year term on the Board of Trustees of the Mental Health Association. The position of “Pastor Emeritus” is bestowed on the former Senior Pastor Hardwick for one who has served it well, and who continues to demonstrate the potential for pastoral care. we can impact our city.